Magic. Reproduced with confidence. Over and Over and Over. All of our instruments are handcrafted in the USA. 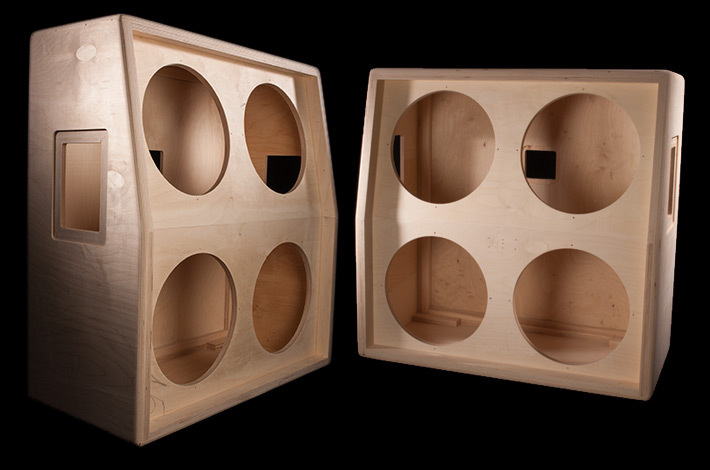 Mesa founder Randall Smith shares the inside story on how Mesa amplifiers are made. Whether you’re building pianos, flutes, violins or amplifiers, there are time-tested methods of construction and a code to fine instrument building. 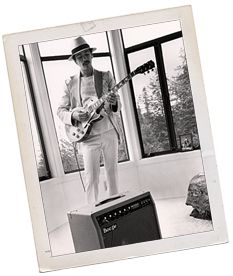 ALL components and construction techniques are the same for every Mesa/Boogie® from the most expensive to the least. There are no “budget” models or off-shore imports. Everything is handcrafted by the same builders who average more than ten years here. Hand-drawn printed circuit boards inside every single amplifier. This ensures a consistent, quality tone you can count on. "The physical layout of the parts on the board just have to be right." Epoxy-based, double-sided phenolic boards with plated-through holes. A conductive barrel has been formed inside each hole, with pads on both sides. On our custom boards, each lead is soldered on the top, on the bottom and throughout the barrel, creating a reinforced sandwich of solder. "Every part is a tone control in an amplifier. Every single part." All structural reinforcement is sculpted out, to form an extremely strong skeleton that saves weight, increases rigidity and improves structural integrity. Tri-Port™ front facing, multiple venting system uses individually-tuned triangular ports to enhance each part of the bass spectrum. Player Control Network™ includes 3-position switch for crossover frequency, adjustable L-Pad for blending the right amount of high frequency driver, re-settable horn protection plus standard ¼ inch and high-current SPEAK-ON locking connectors. High tech, recessed, in-line skate casters glide on precision ball bearings. 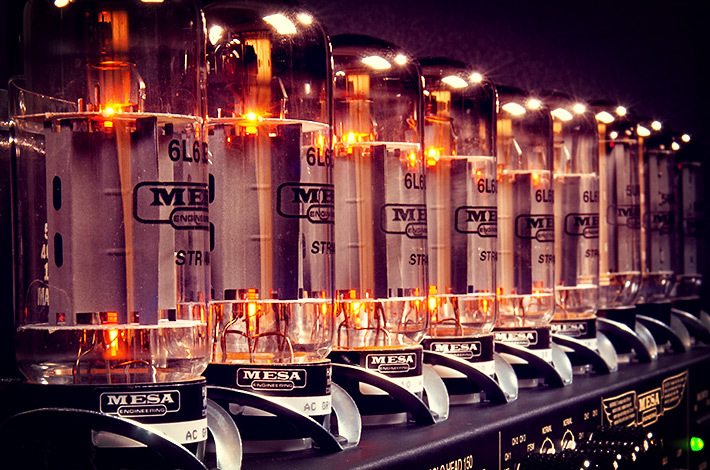 Inside every Mesa™ Amplifier is a happy family of electron tubes, basking in the warmth of their musical glow. Our high-gain, low-noise 12AX7 has a balanced, shimmering sound and is the result of countless revisions and evaluations. This tube is a major achievement for tone and reliability and is vital to your amp’s performance. We won’t use anything else. Our tubes are strong and easily able to handle the harsh environment of rock guitar where blasting into major saturation is all part of a night’s work. We’ve made tube changes really fool proof by eliminating the need to set the bias. We’ve already done it when your amp was built, by wiring in just the right precision resistors that permanently eliminate the need for adjustment. If they’re destined for the Home of Tone® they can expect to be challenged by ROBOTUBE™, our in-house state of the-art tube tester. Precision data generated during Robotube’s seven-part testing sequence identifies matched pairs and can even predict tube life. After passing tests for gain, noise, heater current, warm-up time, pulse response and more, the automated sequence pauses for the dreaded Hammer Test. "Any premature failure: We want that to happen here. Not at your gig!" Each tube is bashed repeatedly by hand and checked for reliability under severe shock and vibration… enough to duplicate your amp falling off a six foot stage at full volume, three or four times! You can contact us direct at the shop and speak to a Product Specialist that will help you get the most from your amp and define a sound that is uniquely yours. Find your perfect tone. 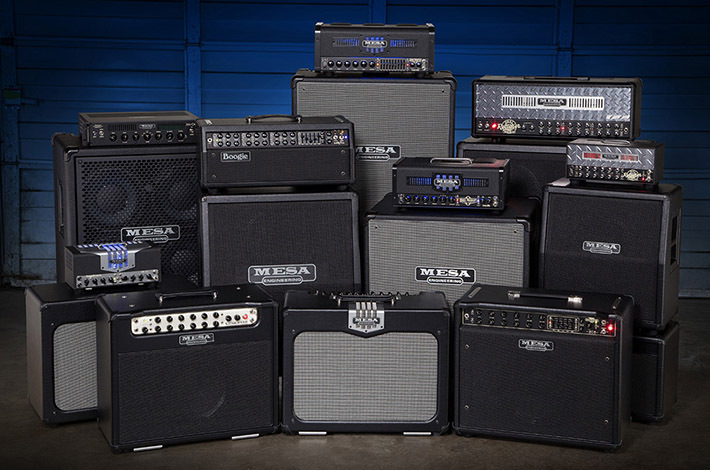 Locate a MESA/Boogie dealer near you.